Entering its fifth decade as one of the Southeast’s quirkiest gatherings, Banner Elk’s Woolly Worm Festival has added a new distinction: Official State Woolly Worm Festival of North Carolina. 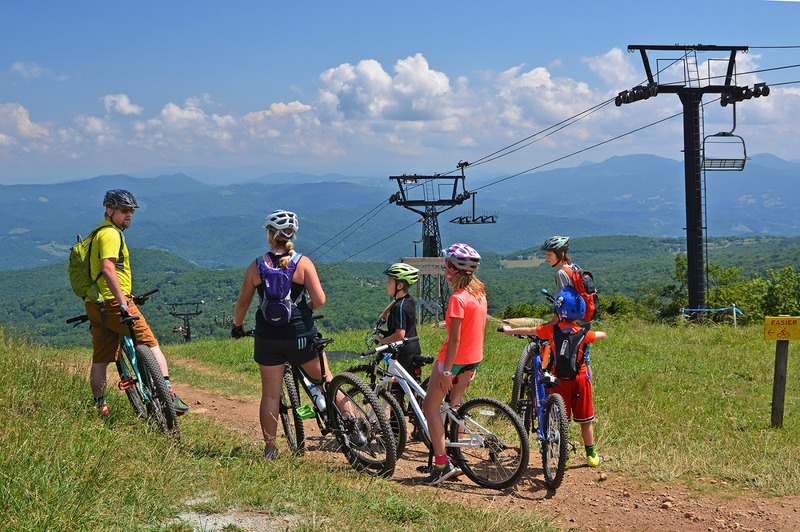 This June, Beech Mountain encourages families to get outside, expand their horizons and make memories together. 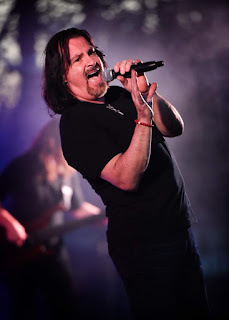 Family Fun Month includes a 30-day lineup of outdoor adventures, concerts, picnics, movies under the stars and a fireworks finale. Beech Mountain’s location in the North Carolina High Country provides abundant natural resources to hike, bike, paddle and fish. And its elevation at 5,506 feet makes for pleasant temperatures with low humidity. Many of the Family Fun Month activities at Buckeye Recreation Center offer guided instruction. 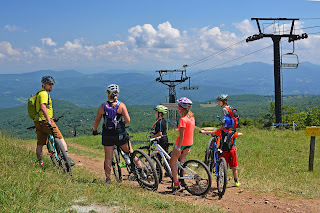 Take a mountain biking lesson or go on a guided ride, hit the hiking trail with a naturalist, try your hand at trout fishing, or learn how to play pickleball. New this year, the Brick Oven Pizzeria in the heart of Beech Mountain will offer a full afternoon and evening of free activities each Friday of the month in the field next door to the restaurant. Friday field days begin at 2 p.m.with bounce houses and children’s games. A family-friendly concert follows at 5:30 p.m. Movies under the stars will take place in the same location at 8:30 p.m. on Fridays and Saturdays. On Saturday, June 16, the annual “A Cool 5 Race” begins at Town Hall. The challenging five-mile course tops out at 5,400 feet in elevation. 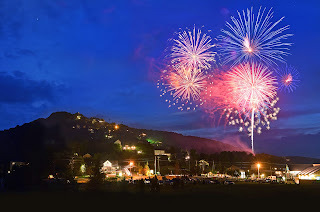 A less strenuous option is the 1.5-mile fun run/walk or the 1.5-mile walk and wag for families with four-legged members.Family Fun Month leads right into Beech Mountain’s Mile High Fourth of July Celebration, which runs June 29-July 4. On Saturday, June 30, the famous 47th Annual Roasting of the Hog serves up some of the tastiest barbecue in the High Country at Beech Mountain Resort. Fireworks then light up the night sky above the mountain. Several properties offer Family Month lodging specials, including three nights for the price of two. Some activities require Family Fun Month participation cards, which are available along with complimentary fidget spinners for kids 12 and under at the Beech Visitor Center. 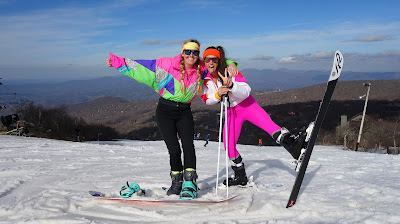 For a full lineup of events and list of lodging specials, go to: www.BeechMtn.com or call 800-468-5506. Ski back in time and rock the 1980s like never before during the Totally ’80s Retro Ski Weekend at Beech Mountain. The Beech Mountain History Museum will be open December 26 - 31 from 1:00 - 4:00 pm. 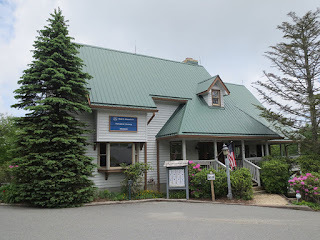 The Museum is located on the Beech Mountain Parkway, next to Fred's General Store. There is no charge for admission. If you haven't visited the Museum lately, you may be interested in some of their new exhibits. The Museum is fortunate to have on loan an exhibit of the photographs of W.R. Trivett, known as “The Picture Man.” Trivett (1884-1966) was a self-taught professional photographer who lived on Beech and photographed Beech Mountain folks. Another new acquisition, a large-scale model of The Land of Oz as it was in the 1970s, has been very popular with many visitors. In addition, the Museum was given an infant coffin and a grain cradle, made by John Harmon (1868-1957), known as “The Coffin Man.” Harmon lived on Beech Mountain and made over 500 coffins, without a complaint. A scale model of the Beech Mountain home of Ray Hicks (1922-2005) is a unique exhibit which you won't see anywhere else. Ray Hicks was a well-known teller of Jack Tales and was named a National Treasure by Smithsonian. This Holiday season, bring your family and friends for a visit to the Beech Mountain History Museum and get a glimpse of the lives and stories that made Beech Mountain, and our Club, the amazing place it is today. For questions about the Museum, please call Ann Iles at (828) 387-2930 or (828) 387-1988.